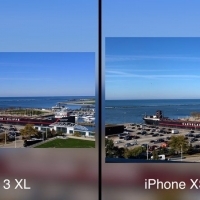 Google Pixel 3 XL vs. iPhone XS Max: Which Camera Reigns Supreme? 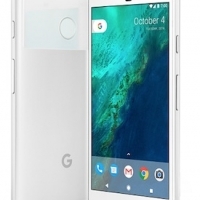 Google today sent out invitations to members of the media for a "Made by Google" event that's set to be held in New York City on Tuesday, October 9. 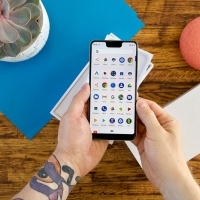 At the event, Google is likely to unveil its Google Pixel 3 and Pixel 3 XL smartphones, which will be competing with the trio of new iPhones that Apple is set to unveil next week. It's official, Google sends out invites for its annual event https://t.co/3YOk9wsQnq pic.twitter.com/1L5wzy7YEU— CNET (@CNET) September 6, 2018 Details about the Pixel 3 and Pixel 3 XL have already leaked thanks to multiple hardware units and images that have surfaced from Russian bloggers and a device that was left in a Lyft. 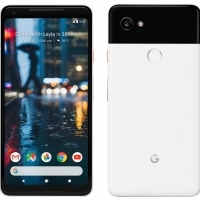 Image via Mobile-review.com The 6.2-inch Pixel 3 XL will feature a deep iPhone X-style notch that's been the subject of jokes on the internet since early images leaked, while it looks like the smaller 5.5-inch Pixel 3 will be notchless. 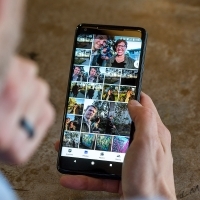 Wireless charging will be available on both devices through glass rear shells, and the two smartphones will feature single-lens rear cameras and dual front-facing cameras. 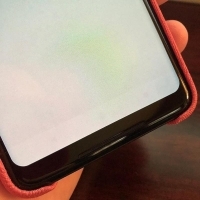 A fingerprint sensor is located at the back of each device, and given the inclusion of USB-C headphones and a USB-C to audio jack device, it looks like the Pixel 3 will not feature a headphone jack. 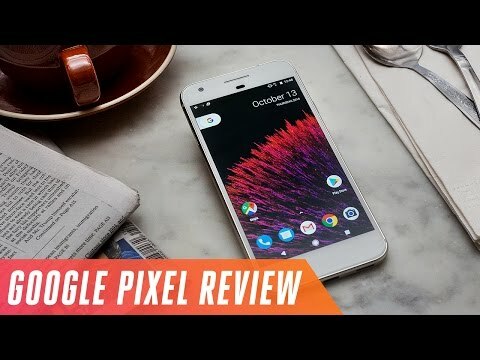 Image via Mobile-review.com In past years, Google has unveiled multiple other products at fall events, so there are likely other devices Google is set to debut aside from the Pixel 3 and Pixel 3 XL. Apple is unveiling its own new 2018 smartphone lineup a month ahead of Google on Wednesday, September 12. 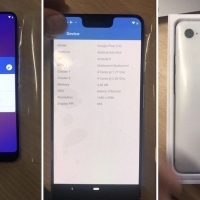 A day ahead of Google's October hardware event, serial mobile leaker Evan Blass has shared images of the company's new 6-inch Pixel 2 XL smartphone, revealing a display with thin bezels and rounded corners reminiscent of the Samsung Galaxy S8. 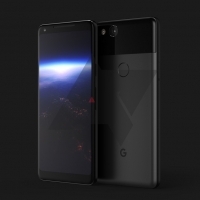 Rumors suggest the Pixel 2 XL will feature a QHD+ display with an 18:9 (2:1) aspect ratio, 4GB of RAM, a 12-megapixel rear camera, and front-facing stereo speakers, with a price tag of $849/$949 for either 64GB or 128GB of storage. 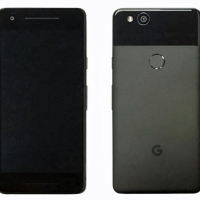 Blass also tweeted images of the smaller 5-inch Pixel 2 (below) which, apart from a less impressive 1080p display, is thought to share the same specs as the XL 2. 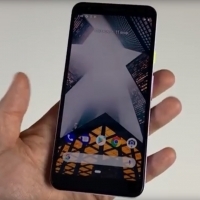 The wallpaper used in both the leaked images shows a vibrant depth-of-field view, suggesting an upcoming "bokeh" camera feature native to the new Google handsets. 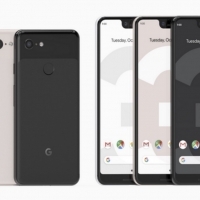 According to a source familiar with Google's release plans that spoke to VentureBeat, the new phones will have a pre-order period followed by a staggered rollout, with October 19 for the Pixel 2 and November 15 for the Pixel 2 XL. 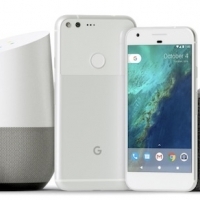 MacRumors will have all the details on Google's October 4 event, where the company is expected to unveil a range of products, including new Google Home smart speakers, a new laptop, and perhaps more. 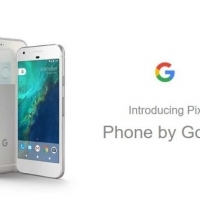 Google has ended production of its Pixel laptop, which originally aimed to compete with Apple's MacBook Air. 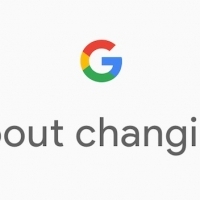 During a small meeting with journalists today at the Mobile World Congress in Barcelona, Google's senior vice president for hardware Rick Osterlohthe responded to a question about future Pixel notebooks, saying the company has "no plans to do one right now". According to TechCrunch, he added that versions already on the market have totally sold out and there are no plans to make any more of them. However, Osterlohthe was quick to clarify that he was not referring to the notebooks' operating system, ChromeOS. 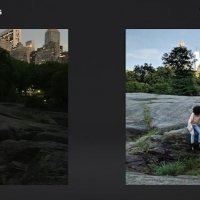 "Chrome OS is a huge initiative in the company," Osterloh said. "Google hasn't backed away from laptops. We have the number two market share in the U.S. and U.K. — but we have no plans for Google-branded laptops. 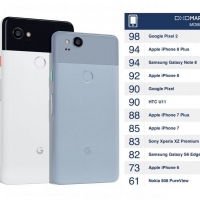 "Google's Chromebook was the first device to carry the Pixel name, which has since been adopted by the tech giant's latest range of branded smartphones. The original Pixel laptops were launched in 2013 and were notable for their integrated hardware – which included a touchscreen – and their premium design appeal, but the web-only operating system only ran Chrome browser and a handful of other cloud-based apps, and prices started at $1,299. 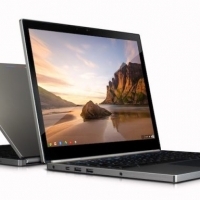 The second version of the Pixel Chromebook launched in 2015 and cost $999. It was one of the first laptops to feature USB-C along with Apple's 12-inch Retina MacBook, but saw limited uptake due to the restrictive OS and prohibitive cost. Other third-party Chromebooks sell for as little as $250.